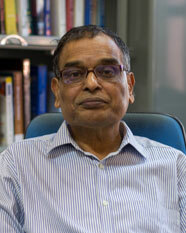 Dr. B.K.Mohanty is a Professor in the Decision Science Group at Indian Institute of Management, Lucknow, India. He received his M.Sc in Mathematics, from Berhampur University, Orissa, India and PhD in Operations Research, from IIT Kharagpur India. Prior to joining IIM Lucknow, he served at Tata Research Development and Design Centre, Pune, as a member of Technical Staff , as an Associate Professor at Xavier Institute of Management, Bhubaneswar, India and as Scientist at CFTRI Mysore, India. His research interests include Fuzzy Applications in MCDM, e-commerce and various functional areas of Management. To his credit, he has about 30 research publications in the journals of International repute. To name a few these include, Int. J. Systems Science, Fuzzy Sets and Systems, Expert systems with Applications, Computers and Industrial Engineering, Computers and Operations Research etc.